David’s note: I still remember meeting you in person at Dreamforce years ago. At the time, you were a kind and ambitious acquaintance that I remembered and especially hoped would find success. Now, knowing your story and your challenges, the amount of respect and appreciation I have towards you is really difficult for me to put in words. Thank you for being an inspiration to me and other people who want to follow in your footsteps. Your story proves to the world that anyone can overcome their fears, self-doubt, and life challenges to achieve their dreams! You are an amazing mom, professional, and human being. Don’t forget that! This is long overdue! I owe it to myself, to you and to others who are on the path to share my story. I am no stranger to Salesforce. I first worked on the platform almost 10 years ago. Back then, I implemented Salesforce as a consultant to automate sales for a mid-sized business. Salesforce was completely different then, the client did not stay with Salesforce and I continued to work as a consultant. I am a stay at home Mom, homeschool Mom of 2 and Salesforce professional with 5 certifications. After my introduction to Salesforce, I continued to consult working on different implementation projects for small companies. A few years later, I worked on another long term Sales Cloud implementation project and continued to support all their customizations. This was a small company, the pay was little and the hours very long. But, I couldn’t have been more fortunate as I gained tremendous experience! While I continued to juggle my kids and work, the platform had become amazing and I found your welcome and encouragement. I touched every declarative part of Salesforce, I even tried learning to code. When I first reached out to you 4 years ago, I had experience but no certifications. I made very little and wasn’t particularly confident about my knowledge either. I did the only thing I knew, keep trying to learn even though I doubted every step of the way that I knew anything. I took on your challenge to earn certifications. I quickly ran into a roadblock that had nothing to do with Salesforce or my abilities. It was me! I was somehow afraid of taking that next step and actually believing I could do it… even though my experience was golden. It took almost 5 months for me to get to the point where I knew I already had the certification and I stopped rescheduling my exam and I passed Admin and Dev401 right away. I still had my goal of at least 6 certifications, so I continued to work on the next ones. Life continued its ups and downs. We lost our home and had to stay with relatives for many many months and still my path stayed clear. I continued to homeschool and consult earning very little. I knew I would be an asset for the right company, but I had no experience interviewing or with my resume, so while working on the next 3 certifications, I took a course to learn about the job market, craft an amazing resume and prepare for interviewing. Before I even had the chance to send out one of my resumes, I got an email from my former company regarding a Salesforce Consulting position. I couldn’t believe it, but I could! You, my mentor, had spoken of these miracles. I had three interviews and got the job earning six figures. I remembered telling everyone who tried to help when we lost our home, that it was okay, not to feel sorry for us because we had decided to choose another path and to live another way. This was real!!! Since we had no money and was living with relatives at the time and I wasn’t able to commute to work from my relatives home, we spent the next 3 months living in hotels. That was over one year ago. A distant and much appreciated memory. You continue to inspire me! 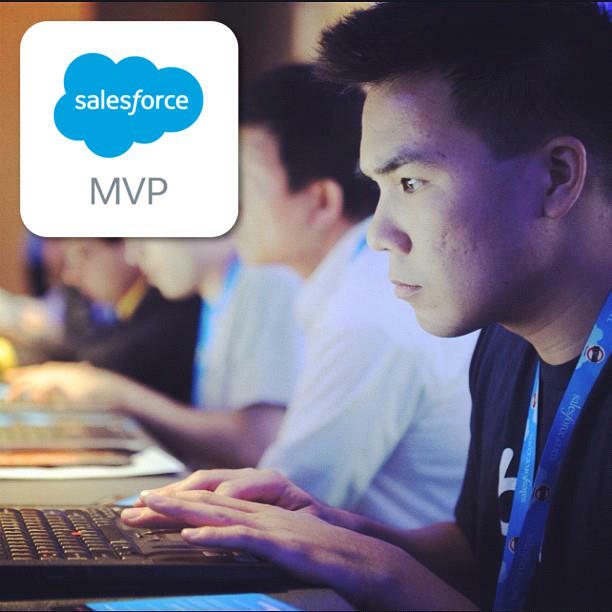 Other MVPs continue to inspire me and I love Salesforce and I am happy to be a part of the Salesforce Ohana! As I continue my path on this platform and even though my job is not ideal, I know what I know and I am confident and accomplished and honored. Thank you for all that you do! Thank you for all that you’ve done! You are tremendously special to me and I can’t wait to see you at DF today! Nervous about hitting send… but ready to do it..
I’m sure that even those who are not in similar situation will also find it very inspiring. Thanks for sharing your experience. It is very inspirational article, thanks for sharing. It is very inspirational story, thanks for sharing. It is truly remarkable what one can achieve through sheer dedication and perseverance. Thanks for sharing your story with us. Truly inspiring! You are a true inspiration for others David. Keep up the good work. I always follow you for your great work and efforts. Thank you Anha!! All credit here goes to the successful mother!!!!!! You make my day, thanks for sharing such a awesome article. Thank you for sharing your story of resilience despite adversity. Many Success Stories are from outside the US, check em out! Who knows, maybe your story will be here one day! You are such an inspiration to all those who doubt themselves. More power to you and God bless. Congrats and fhanks for sharing your story! I need these daily doses of inspiration, keep them coming!!!! I love seeing stories like yours! !